This recipe is really an ode to lentils/split peas. Lentils and split peas are simply brilliant. They fill you up, are super cheap and when cooked properly taste great. Now in themselves lentils are very bland so maybe you have had bad lentil experiences – but I would challenge you to give them another go if so as they really are wonderful when given the right flavours. The split peas in this recipe are filled with fibre and help to stabilise blood sugar and they will keep you full for hours. Add in the almighty goodness of coconut cream and you are onto one super health boosting meal. Plus its yellow and looks like sunshine in a bowl and takes no time to make. 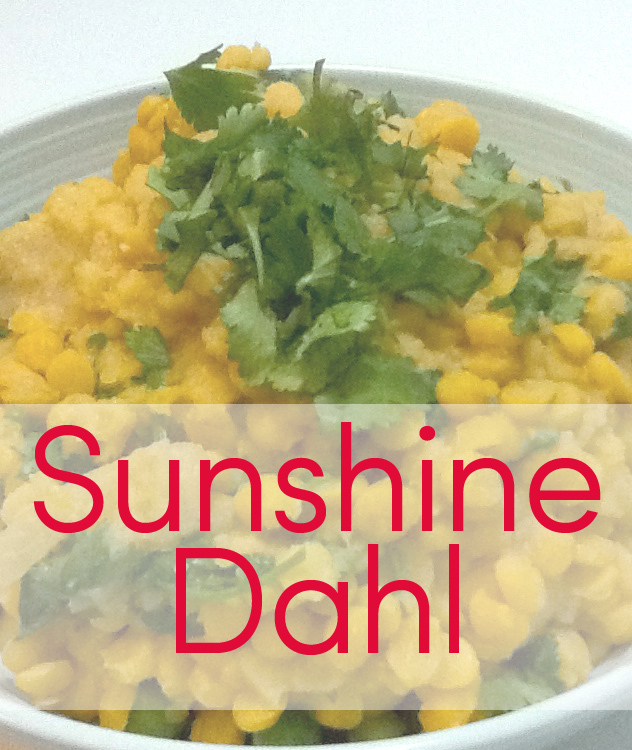 So why not get out your slow cooker, go spend a few pounds on an enormous bag of split peas and get your Dahl on . A easy and frugal gluten/dairy/meat free and vegan dish that is delicious and simple. Soak the dried split peas for at least eight hours in salted water. Drain and set aside . Put the onions with some butter/oil/coconut oil in a pan and saute into soften. Add the salt. Then add all the peas and all other ingredients (except the fresh coriander) and bring to simmer. Simmer until peas are soft - roughly 45mins or overnight in a slow cooker. When ready mix in the fresh coriander chopped. Serve with brown rice or onto on loads of vegetables and with yogurt. This is a great one to do in a slow cooker. Just saute options then put everything in slow cooker and leave for several hours or all day at work . Feel free to add any other vegetables you want - mushrooms, peppers, spinach and butternut would all taste good in this.